Caring for patients with two or more chronic diseases costs the health system more than it would to treat each disease in isolation, a new study published in PLOS Medicine has shown. Researchers looked at health data for all adult New Zealanders and found that 59% of publicly funded health expenditure was attributable to non-communicable or chronic diseases. Almost a quarter of that was spent caring for patients with two or more diseases beyond what the diseases cost individually. The researchers analysed nationally linked health data for all adult New Zealanders, including all publicly funded hospitalisation, outpatient, medicines, laboratory and primary care between 1July 1, 2007 and 30 June 2014. They calculated annual health expenditure per person and analysed the association of this spending to whether a person had any of six chronic diseases, cancer, cardiovascular disease, diabetes, musculoskeletal, neurological and lung/liver/kidney diseases, or a combination of any of them. Of the remaining three quarters of spending on chronic diseases, heart disease and stroke accounted for 18.7%, musculoskeletal disorders for 16.2%, neurological conditions for 14.4%, cancer for 14.1%, lung/liver/kidney disease for 7.4% and diabetes for 5.5%. 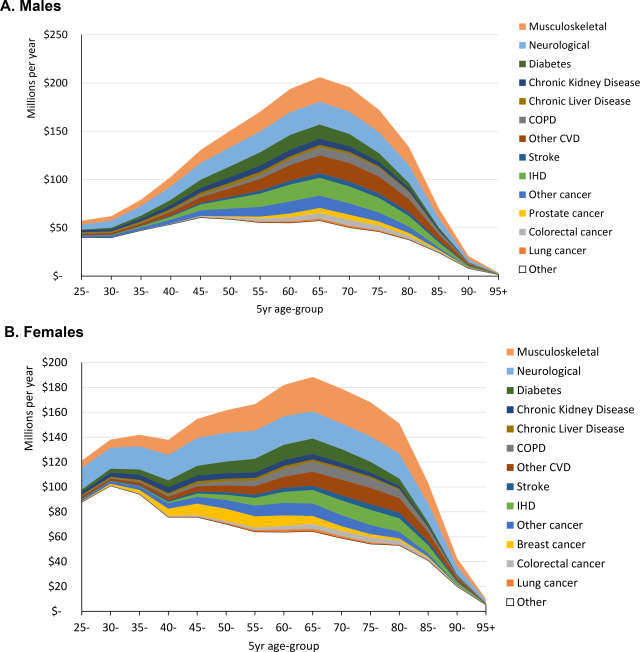 Across all chronic diseases, expenditure was highest in the year of diagnosis and the year of death.